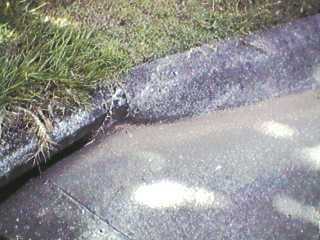 Spray Concrete Driveways and Paths can pollute waterways. Are all new industries environmentally sustainable? 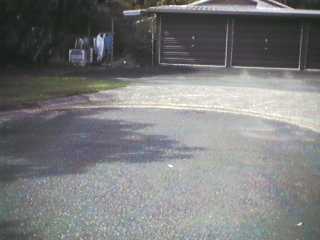 The new process is being used to rejuvinate concrete driveways and bitumen roads. 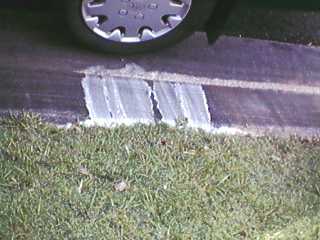 From what takes place adheasive tape is placed on the bitumen and over the surface is sprayed a mixture of cement, sand and coloured dye. 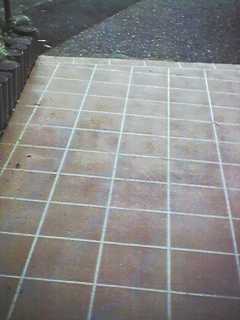 The adheasive tape is removed and a sealer is painted over the surface. 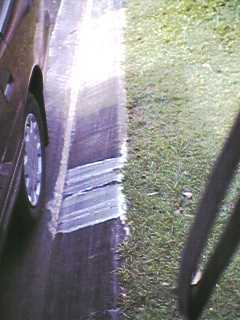 The problem arises as the spray equipment is cleaned and in the following case onto the grass on the footpath. 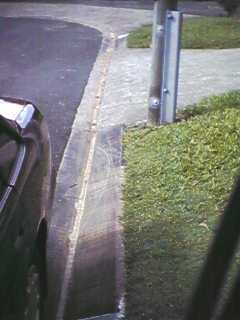 The footpath did not absorb the material and it flowed around the gutter and into a storm water drain. This stormwater drain is the home to a family of water dragons. 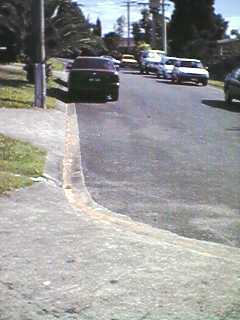 Will the Brisbane City Council now ensure that such opperators comply with Best Environmental Practice? 1. The path that was treated. 2. 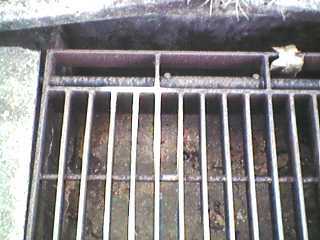 Edge of gutter. Unfortunately our digital camera does not show the coloured stain very well.